The simplest way of avoiding a charge of plagiarism is to correctly cite the sources for your quotations or other material that you have borrowed from another author. However, if information is considered to be common knowledge then there is no need to cite a source. Another way to avoid plagiarism is, when taking notes from an article, to only record the essential points of an article. In this way when you write up your notes you will be forced to expand on the points in your own words. The advantages of this approach are two-fold, firstly it ensures that you will not repeat word for word the original article and secondly it tests whether you fully understand the points that you are making. Not all plagiarism is intentional amongst students. There can also be grey areas where it is difficult to decide whether something has been plagiarised or not. PlagiarismChecker.com and Article Checker are two free online tools that will check your essay to ensure that you are not inadvertently plagiarising someone else’s work. 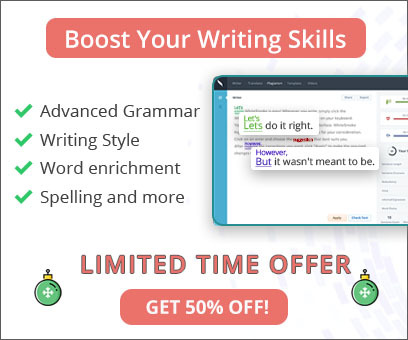 And of course, when you are hard at work crafting your own text, WhiteSmoke's grammar software can help you ensure your grammar is accurate. 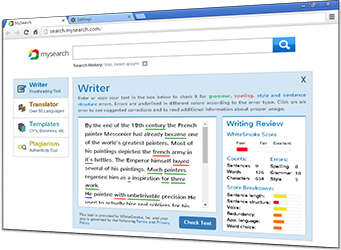 For a quick edit, you can try WhiteSmoke's free online grammar checker and free online dictionary!